Since the end of World War II lithium metal production has greatly increased. The metal is separated from other elements in igneous minerals such as those above. Lithium salts are extracted from the water of mineral springs, brine pools and brine deposits. The metal is produced electrolytically from a mixture of fused lithium chloride and potassium chloride. In 1998 it was about 95 US$ / kg (or 43 US$/pound). Lithium batteries are disposable (primary) batteries with lithium metal or lithium compounds as an anode. Lithium batteries are not to be confused with lithium-ion batteries, which are high energy-density rechargeable batteries. Other rechargeable batteries include the lithium-ion polymer battery, lithium iron phosphate battery, and the nanowire battery. New technologies are constantly being announced. Lithium niobate is used extensively in telecommunication products such as mobile phones and optical modulators, for such components as resonant crystals. Lithium applications are used in more than 60% of mobile phones. Because of its specific heat capacity, the highest of all solids, lithium is often used in coolants for heat transfer applications. In the later years of the 20th century lithium became important as an anode material. Used in lithium-ion batteries because of its high electrochemical potential, a typical cell can generate approximately 3 volts, compared with 2.1 volts for lead/acid or 1.5 volts for zinc-carbon cells. Because of its low atomic mass, it also has a high charge- and power-to-weight ratio. Lithium is also used in the pharmaceutical and fine-chemical industry in the manufacture of organolithium reagents, which are used both as strong bases and as reagents for the formation of carbon-carbon bonds. Organolithiums are also used in polymer synthesis as catalysts/initiators in anionic polymerization of unfunctionalised olefins. Lithium-6 is valued as a source material for tritium production and as a neutron absorber in nuclear fusion. Natural lithium contains about 7.5 percent lithium-6. 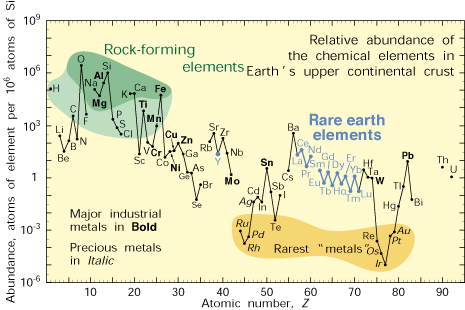 Large amounts of lithium-6 have been produced by isotope separation for use in nuclear weapons. Lithium-7 gained interest for use in nuclear reactor coolants.